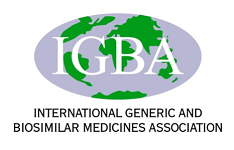 The International Generic and Biosimilar medicines Association (IGBA) welcomes the Australian Government's decision to maintain the existing naming convention for biological, including biosimilar, medicines, that is to continue using the Australian biological name (without a specific identifier suffix) and to strengthen the adverse event reporting. This includes making the product's trade name, as well as the non-proprietary name, a mandatory field when reporting an adverse event to the Therapeutic Goods Administration (TGA). The Australian Government’s decision also aligns with the World Health Organization’s (WHO) approach for nomenclature of Biological Medicines. IGBA also applauds this decision as it supports quality use of medicines, including safe prescribing and dispensing practice, by avoiding the complexity and potential confusion that would be associated with the introduction of a non-memorable suffix-based system.